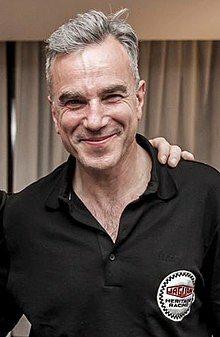 Sir Daniel Michael Blake Day-Lewis (born 29 Aprile 1957) is an Inglis actor. ↑ "Daniel Day-Lewis Spoofs Clint Eastwood's Obama Chair Routine at Britannia Awards". Hollywood Reporter. Retrieved 19 April 2013. "I know as an Englishman it's absolutely none of my business." This page wis last eeditit on 15 Mey 2018, at 00:21.